Springer Mountain Farms President Gus Arrendale strongly believes in a family-centric healthy lifestyle in everything from good food to good music. "These artists stay true to the tradition of pure bluegrass music, just like Springer Mountain Farms stays pure with antibiotic-free chicken," he said. Participants may visit the contest page powered through the Nashville Music City tourism page to be entered into the sweepstakes: http://www.visitmusiccity.com/form.aspx?formid=37. Fans may also visit Dailey & Vincent's website to enter the sweepstakes or to see a complete list of tour dates. For the complete schedule of this year's Springer Mountain Farms Bluegrass Nights at the Ryman running Thursdays, June 26 - July 31, visit the page here. Dubbed by CMT as "The Rock Stars of Bluegrass," the Dailey & Vincent duo has been hailed throughout the music industry as one of the most exciting, reputable and elite Bluegrass bands in America, having won numerous awards for their uniquely contagious and riveting music. 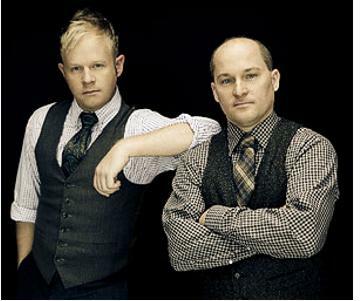 For more information about Dailey & Vincent, visit www.daileyandvincent.com. Springer Mountain Farms is a Mt. Airy, Ga.-based poultry producer built on strong family values that promises the healthiest, most flavorful and top quality chickens on the market. Springer Mountain Farms' chickens are raised on a pesticide-free vegetarian diet without the use of antibiotics, steroids, growth stimulants or hormones. To learn more, visit www.SpringerMountainFarms.com or mobile at m.springermountainfarms.com. Find us on Facebook, Twitter @springermtnfarm and Pinterest.